Find out what you need to know about these common household items for emergencies. Your home is a place where you feel safe. However, sometimes disaster strikes. Whether it’s a blizzard, fire, or flood, lots of hazards can put your home and your safety in jeopardy. Ensure that you’re ready for a disaster by investing in the right homeowners insurance and amping up your emergency preparedness. Keep these common household items handy! You may be able to use them in the event of a disaster. Keep duct tape on hand in case you need it after disaster strikes. It’s a great fix-all tool that can help you repair rips, tears, and holes in seconds. After a disaster, sometimes it can be a challenge to find clean water. However, a little bleach can go a long way. While ingesting too much bleach is toxic, a tiny bit of bleach can help to kill harmful bacteria in questionable water. Mixing .75 milliliters with a gallon of water can help to make water more potable. But, it’s important to exercise extreme caution. Mix the solution well and let it sit for at least 30 minutes. For more information, visit the CDC’s website. 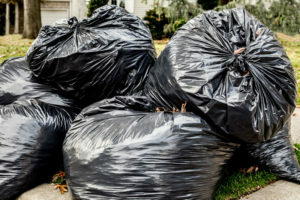 Trash bags are a valuable resource when it comes to disaster preparedness. They have a plethora of uses that can help you through a rough situation. Since they’re largely water resistant, they can be used to make a makeshift shelter or rain jacket. Additionally, they can be used to collect water that can be used for drinking, cooking, or bathing. Be resourceful in the event of a disaster. Get the protection that you need with the right homeowners insurance. Contact the professionals at Robert J. Los Insurance Agency to find you the right coverage. Located in Hamburg, New York, we serve all your personal and commercial insurance needs.